Personalized iPhone Cases, Mouse Pads, Coasters and more! Our most popular corporate and personal gift items are iPhone cases, mousepads and coasters. These fun items are a great way for businesses to keep their brand in front of their best customers. They are also a great way to send a special gift to a friend or family member. 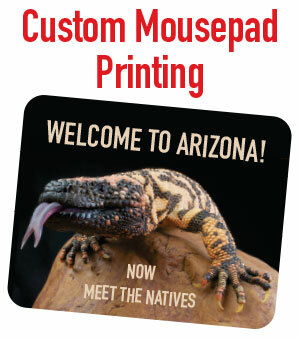 Our mouse pads are deluxe 1/4 inch thick soft rubber base with a soft polyester cloth printed surface. Our dye-sublimation process produces vivid color graphics and/or photo of your choice on the product of your choice. Many of these photo gift item can be designed and ordered online at towermedishop.com. Tower Media Shop features a customer friendly design studio interface allowing you to create your own graphics!